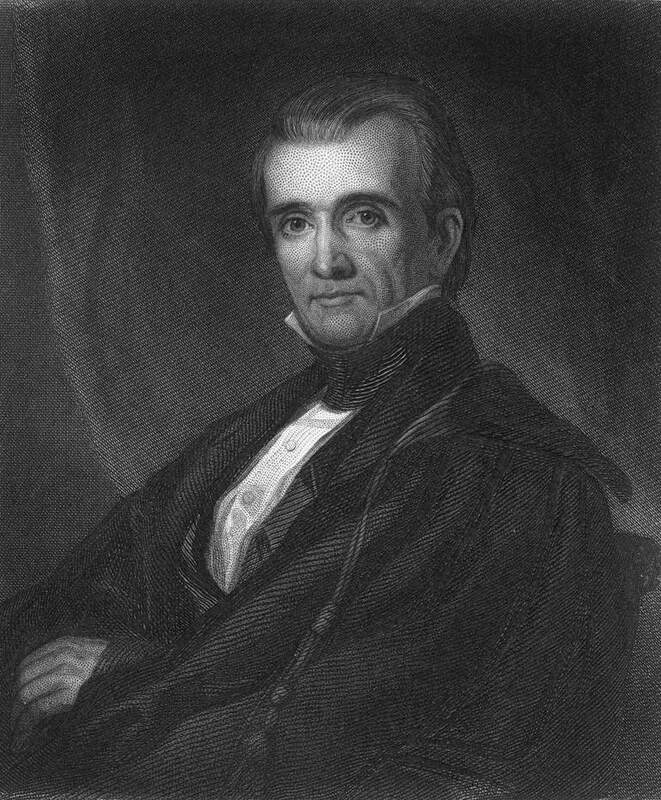 James K. Polk (1795-1849) served as America's eleventh president. He was known as the 'dark horse' as he was not expected to beat his opponent, Henry Clay. He served as president during a period of 'manifest destiny', overseeing the Mexican War and the entry of Texas as a state. ere is a quick list of fast facts for James Polk. For more in depth information, you can also read the James Polk Biography. James K. Polk increased the size of the US more than any other president other that Thomas Jefferson due to the acquisition of New Mexico and California after the Mexican-American War. He also completed a treaty with England that resulted in the US gaining the Oregon Territory. He was an effective chief executive during the Mexican-American War. Historians consider him to be the best one-term president. These additional resources on James Polk can provide you with further information about the president and his times. Take a more in depth look at the Eleventh president of the United States through this biography. You'll learn about his childhood, family, early career, and the major events of his administration. This informative chart gives quick reference information on the Presidents, Vice-Presidents, their terms of office and their political parties.